I Am Panda aims to make environment-friendly clothing, and pledges to plant at least one tree for every sale. The clothing industry has grown to become one of the largest around. Numerous brands have made a fortune out of the fashion industry and many more are still looking to make money. However, our quest for profit is often at the detriment of our environment. Most clothes are fabricated from cotton and among many environmental challenges; commercial cotton materials use pesticides extensively. This could have devastating short-term and long-term consequences on the environment. “I am Panda” is an emerging clothing brand that takes great pride in producing Eco-friendly clothing. They believe everyone has a role to play in environmental conservation, and they are offering you a chance to do so while rocking stunning wears. How does ”I am Panda” help save the planet? There are strict regulations on the cotton used for the production of ”I am Panda” clothing items. The brand employs organic fabric with GOTS certificate. Fabrics with this certificate are produced from purely organic cotton. No pesticide or artificial fertilizers are used – right from planting, through harvesting and storage. Thus, you can be sure the clothes you’re buying do not contain any chemical that could accumulate on your skin and lead to toxic effects. More importantly, perhaps, the environment is saved from the devastating effects of the widespread use of synthetic pesticides. 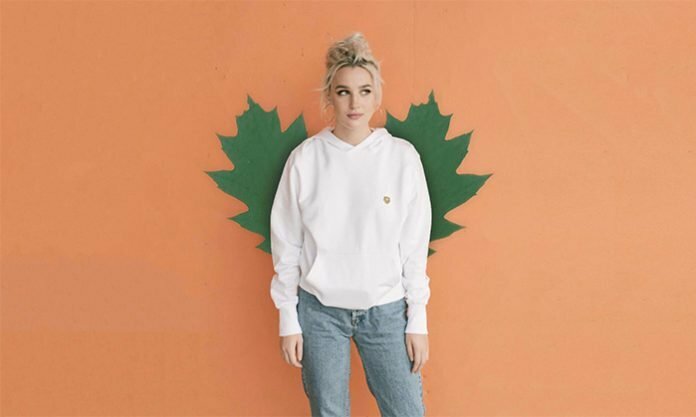 Asides the fact that the cotton is organically grown, ”I am Panda” further ensures that fair trade cotton is used in the production of its impressive brand of clothes. One of the ills of the fashion industry is the exploitation of farmers and other rural workers that are involved in cotton production. Many of these workers receive a stipend that is hardly enough to sustain them while the players at the top receive all the money. ”I am Panda” gives you a chance to correct this ill by buying clothes sourced from fair-trade cotton. You’ll be safe in the knowledge that all workers involved in the production process have been remunerated fairly for the work done. The current state of our environment is such that making the right decisions by shopping organic may not be enough to save the planet. We need to take more active steps towards environmental conservation. ”I am Panda” recognizes the fact that some individuals may be willing but unable to do this. To ensure that the good work is done, ”I am Panda” is partnering with a Canadian conservation organization to plant trees in more than 10 countries. For every clothing item you purchase, you are supporting the planting of up to 5 trees. More trees mean more oxygen for human and animal survival and you’re also protecting the natural home of various species. All the tiers support tree planting and other conservation efforts that are the core values of the ”I am Panda” brand. If you want to become a part of the ”I am Panda” story, you can check the Kickstarter page for details about pledges and rewards. Choosing ”I am Panda” means choosing durable, chemical-free clothing while actively supporting environmental conservation and sustainability.